So this is what the creation of life, the universe and everything looked like. Awesome. Don't really understand what I just watched, but it was entertaining. 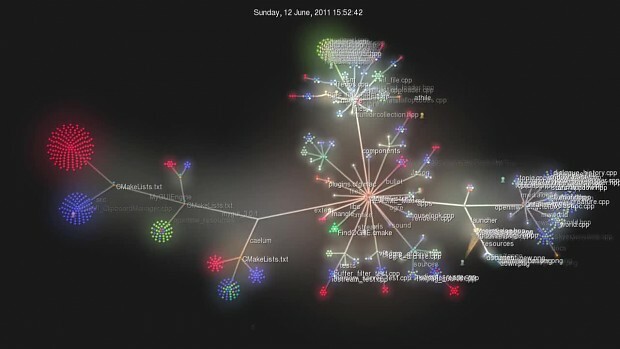 Its a visualisation of all the changes that have ocurred to the code base. so you have time to make things like that but its hard to make a co-op mode for openmw? come on!! Feel free to send us patches, we'll be happy to review and merge them. How come massive chunks of code were removed at times?